Thirty-one percent of diners said they would avoid eating at other locations of a chain restaurant if just one location was involved in a foodborne illness outbreak. This is just one of the results found in the Diners Dish e-book from Steritech. Diners Dish includes exclusive insights from a survey tackling consumer preference and behavior in several key revenue-driving areas, including delivery, online reviews and social media, public health and cleanliness and foodborne illness. More than two dozen other facts found in the Diners Dish e-book can help restaurants adjust their operational practices to better meet their customers’ preferences. To download the full E-book, click here. 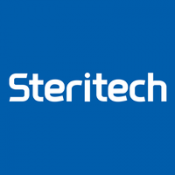 Steritech is the market leader in providing food safety and operational assessments that enhance customer experience, conducting more than 200,000 assessments annually in the restaurant, grocery and supermarket, convenience store, hotel & lodging and retail store industries.